Play MKV, AVI, DVD, WMV, etc. easily with Free Video Player! There are many video formats that use different codecs to compress video. In order to play a video, you need the corresponding codec to be installed on your system. However, installing various codec packs is not always a good idea, as this may cause various problems (including, in different scenarios, system crashes and unexpected reboots). Free Video Player can use either the codecs that you installed to your system, or its own codecs without affecting the rest of your system. Thus you are able to play different video formats even on a system where no codecs were installed. This method has several advantages: first of all, the video player works with the familiar and well-tested codecs, producing high-quality picture and making various sorts of faults all but impossible. On the other hand, once you quit the player, your system is free from any side effects, which is not the case with codecs that are installed into the system. Free Video Player supports all popular video formats (AVI player, MP4 player, MKV player, WMV player, etc.) and is very fast at rendering movies. This means you can quickly open all sorts of videos (including huge files) and jump to desired episodes without any significant delays. At the same time, the player creates crystal clear picture and makes your movies even more enjoyable. While being very easy to use, Free Video Player is loaded with many advanced features. 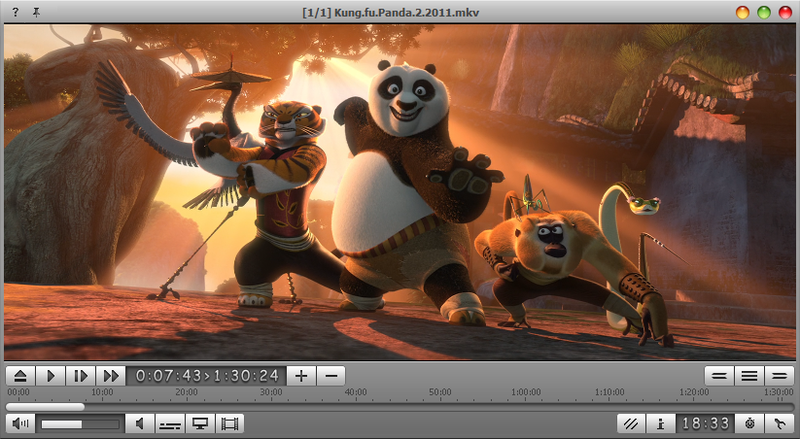 You can select audio tracks and subtitles in multi-track videos, or even load audio and subtitles from separate files. There are built-in amplifyer and equalizer. You can choose which display and audio device should be used by default. The program supports playlists, OSD, skins, various IR remote control devices, DVD menu, and can even play ISO images of video discs directly. It is even possible to schedule a PC shutdown or an alarm. Free Video Player is the best way to watch movies on your computer! The program is completely free and does not contain any malware.